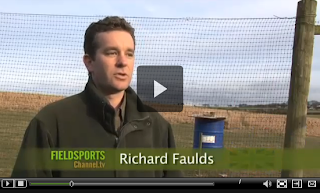 Take a look at FieldsportsChannel.tv, a new web-based video channel focusing on all types of - yes, you guessed it - field sports. It's the brainchild of Charlie Jacoby, well known to regular readers of Sporting Shooter as a former editor and regular contributor. 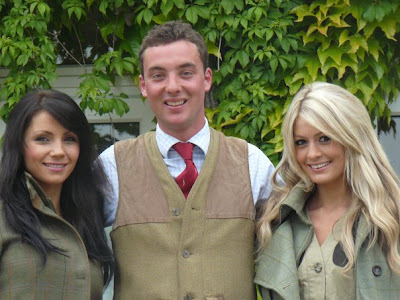 The channel hasn't officially launched yet, but it already has some great programmes to watch - including the one pictured above where Olympic medallist Richard Faulds talks about his other great passion, foxshooting. There's also one about chalkstream fishing for trout, and another on squirrel shooting. When you go to the home page, it isn't immediately obvious where to find the programmes. From the home page, click on the green panel 'Your Sport' at the left hand side of the page, then look at the list at the top left. The first half-dozen items in the list are 'live' - click on a heading to see the videos available. Items further down the list will become live later in the year. Keep watching and you may eventually see one on the trials and tribulations of a shooting magazine editor! I first saw this video at the reception at the House of Lords a couple of weeks ago. It's been produced by BASC's new media man, Dave Harper (who writes each month in Sporting Shooter), and a very competent job it is too. This one was made with the help of a Bristol-based company, but in future BASC hope to produce this kind of thing from their new media centre. UPDATE: Thanks to Rob and those nice blokes at FHM, we can now bring you a picture of the two Charlottes hard at work doing their thing. Nothing gratuitous about this then. News is breaking of a man dead and 7 police taken to hospital after being exposed to a 'noxious substance' at Burpham Court Farm, Guildford, Surrey. BBC story here. Reports say the initial call to the emergency services was about a domestic dispute - raising the possibility that this was a deliberate attack with a pesticide of some sort. Nasty. UPDATE: This report in the Sun suggests it was a suicide. They've illustrated it with a product shot of Phostoxin, a particularly nasty chemical used to fumigate crop stores, and as a rat poison. It's actually Aluminium Phosphide (MSDS here [pdf]) which on contact with water releases Phosgene, a gas notoriously used as a chemical weapon in World War I, and more recently by Iran in the Iran-Iraq war in 1987. Precisely how 'not uncommon' is this? Those nutters at Animal Aid are at it again. With Balmoral gamekeeper Robbie Elliott facing prosecution over 2 badgers killed in snares, the lies and hyperbole against snaring are positively gushing forth: "It is not uncommon for snared animals to chew off their limbs in an effort to escape" claims their ridiculous statement. Really? Care to back that up with evidence? 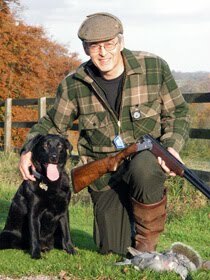 Thought not - Animal Aid, like LACS, were never ones to let mere facts get in the way of a sentimental rant (LACS do a beter job of dressing up this sort of hatred as a 'report' of an 'investigation', but their latest 'War on Wildlife' is full of snide digs at guns 'paying large sums of money to shoot birds for pleasure'). These ludicrous organisations are strangely quiet about the baby rabbits dug up and killed by badgers on Springwatch last night. If that had been done by a gamekeeper they'd have been shouting their heads off. But the idea that ickle animals kill and eat each other's babies just doesn't fit their childish view of wildlife. Hubert Hubert has a thought-provoking post on his Rabbit Stew blog here - well worth a look. i) I paid for 30 minutes in a council car park and actually returned 34 minutes later (as it happens I was trying to contact my elderly father-in-law, who suffers from diabetes, and lost track of the time). In those 4 minutes, the extremely vigilant 'enforcement officer' had slapped a £50 ticket on the car. ii) A group of, er, travelling folk, have concreted over a 4-acre green-belt site, rushing to get the job done over the bank holiday before council officers returned to work and put a stop to it. Story here. One of the above will most likely get off scot free. As I said in the heading, it's a funny old world. Last night I took a call from a Warwickshire shooter who says he's the victim of a miscarriage of justice. In the past year he has lost his guns, had to take considerable time off work (he's a professional truck driver), and says the stress has caused his wife health problems. He has given up hope of ever being allowed to shoot again, and says he simply wants to clear his name and put the whole sorry affair behind him. He used to shoot on land belonging to an elderly farmer, through which a footpath runs. 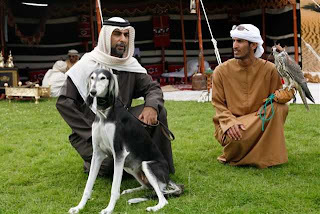 At the farmer's request, on occasion he would ask people to keep their dogs under control and keep to the footpath. One day he returned from shooting and, as he was sorting out his kit and vehicle, two policemen arrived and told him he was under arrest - they wouldn't explain what for. He was taken to the police station and locked up for 11 hours while the police searched his home and removed all the guns, ammo, reloading equipment etc. He was then charged with public order offences, on the grounds that he had threatened people with a gun. The story of his prosecution and court appearance is complicated, but he says that the alleged offences happened on dates when he could prove (via tachograph records etc) that he was working. The prosecution, apparently, changed the dates to times when he might have been there. He also says that the people he allegedly threatened were 300 yards from the person doing the threatening, and couldn't possibly have identified who it was. He believes that pressure was put on the farmer to revoke his permission to shoot on the land, and his shotgun certificate was revoked. His 5 confiscated guns, meanwhile, were in storage. At some point he had to pay (£10 per gun per week) for their storage, which he could not afford, and he arranged for them to be sold at a nominal value (he says they should have been worth £6,500). His case went to appeal, which he lost - again, he says, due to very shaky evidence presented by the prosecution. Where were the shooting organisations in all this? Well, he says he turned to BASC and to SACS for help but, for whatever reason, they were unable to fight his case. There is clearly more to this than meets the eye. For one, there is talk of an ongoing feud with another shooter who shoots on the same land. My caller believes he may have been mistaken for this chap who, he says, has a rather more aggressive manner. In fact, he says he is careful leaving his front door for fear of this chap taking a drive-by shot at him. My journalist's instinct is telling me to dig deeper, although I fear I won't like what I find. It does serve as a warning to all shooters. We have to be squeaky-clean to earn the right to keep guns. Even then, all it takes is a simple misunderstanding and your sport, life and family can be destroyed by a system that, quite rightly, puts public safety ahead of your individual rights. That also leaves us vulnerable to malicious allegations made by antis, or individuals with a personal grudge. Police should be aware of this, and look at all the angles before turning someone's life upside down. It was a surreal moment. 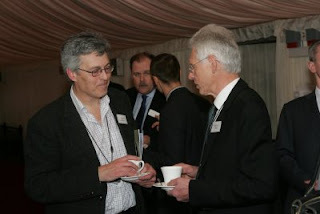 I stood on the terrace of the House of Lords, chatting to the chief executive of the RSPB, Graham Wynne. Some of my readers will be surprised to hear that he didn't have horns and a pointy tail. In fact he seemed like a decent bloke - softly spoken, intelligent, realistic, and interested in what I had to say. No, I didn't lay into him about magpies or demand that his organisation stop throwing brickbats at gamekeepers. It wouldn't have been productive, and anyway the occasion was all about what shooters and conservationists have in common, not our points of disagreement. 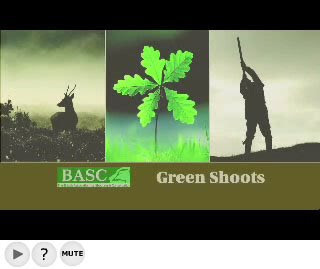 This was a reception to celebrate the success of the BASC's Green Shoots programme, which is linking shooters with conservation bodies in areas from Cheshire to the Somerset Levels to Dorset. 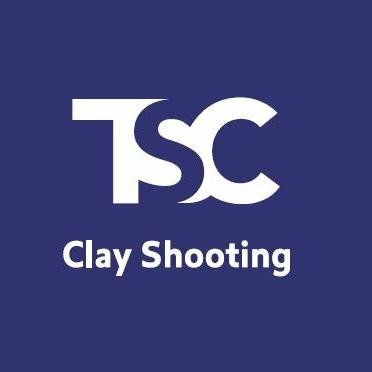 If you have anything to do with running a shoot, I'd urge you to find out more and see how you can participate in this scheme. So what did we talk about? Well, I declared my love of walking up grouse in the Highlands, deerstalking, and wildfowling. Wynne sounded positively enthusiastic and said he could quite see the appeal. We grumbled about the way today's children don't get the chance to discover nature for themselves, getting their knees grubby in the local pond as he and I had both done. To cap it all, he said he'd quite like to eat a grey squirrel, and asked me to describe what it tastes like. I came away musing about the huge amount of common ground between shooters and those we sometimes think of as antis, and wondering whether I was being too cynical or a trifle naïve. Well done to Holly Heyser who has posted this video on her NorCal Cazadora blog - it's an excellent effort to explain the paradox of how it's possible to be a 'hunter' (in the US sense) and to love nature. Is shooting missing a trick? Well, if falconry can do it, what about shooting? OK, we spend a lot of our time looking back only as far as the Victorian era, but the history, traditions and heritage of shooting go back way further than that - and nothing could be more fundamental to our past than hunting and gathering wild food. As I've said before, we are living history - and we should make more of it! What's going on here then? Yesterday, Otis Ferry was cleared of the witness intimidation charges for which he'd been locked up for four months. Because the prosecution offered no evidence. And then wouldn't explain why. Telegraph story here. My earlier report here. Prosecutor Kerry Barker told Gloucester Crown Court: "I don't intend to explain in a public court why those instructing me took the decision they took. The reasons why are not a matter that is or should be in the public domain." Smells decidedly fishy to me. If there wasn't any evidence, what was the justification for locking him up? And if there was, why are they being so mysterious about not presenting it in court? Maybe I've been watching Spooks too much, but it sounds a bit like one of those scenarios where the security services don't want details of their surveillance methods to come out in open court. UPDATE: The swearier bloggers on the net are getting quite aerated about this one. See Ambush Predator, Devil's Kitchen and Englishman's Castle.